What prompted Joan to "create" MY SISTER'S EYES? Joan's family's experience was rather unique. Barbara Wind, Director of the Holocaust Council at the JFed of Greater Metrowest, NJ remarked, " I have never heard a story quite like this one," when Joan spoke before the "Lunch and Learn" group in September of 2016. In preparation for her first Sousa Mendes Foundation "Journey on the Road to Freedom" in 2013, Joan created a rudimentary "Snapfish" photo album to present to the daughter and grandson of Alberto Malafaia, the Portuguese man who befriend her family in Figueira da Foz, Portugal during their 20 month stay in that town. 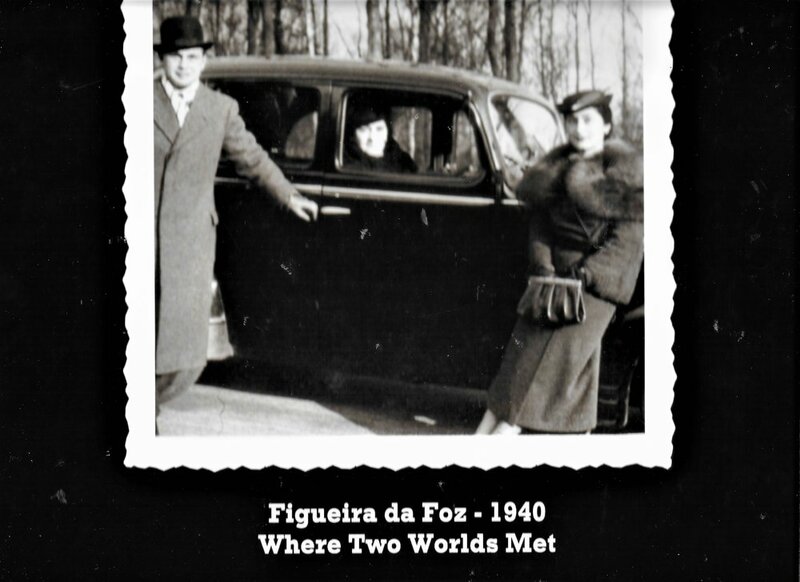 When she showed the album to the visa recipients and the other descendants of Sousa Mendes visa recipients, who were on the journey with her, everyone remarked that they had nothing like the treasures that Joan's mother was able to preserve and hand down to her. That's what prompted Joan to "create" My Sister's Eyes. Joan says "create" because feels that the text pales in comparison to the photos, and other "material culture" included in the book. Joan learned that expression from Olivia Mattis, who is the President. of the SMF and who was enormously helpful in helping Joan get her facts straight. in fact, Joan got her facts so straight that she was able to do a book signing at the USHMM this past October 13th & 14th. (http://bit.ly/2ilJnOt). They only allow an author do an event at the USHMM Museuum shop, if the museum's senior historian signs off on its accuracy. Joan was very pleased to say the least. This is the cover of the very first incarnation of MY SISTER'S EYES, created for Joan's 2013 "Journey on the Road to Freedom" meeting with the Malafaia family. Check back here for updates. To read older entries, SCROLL DOWN to the bottom of the page and click NEXT.